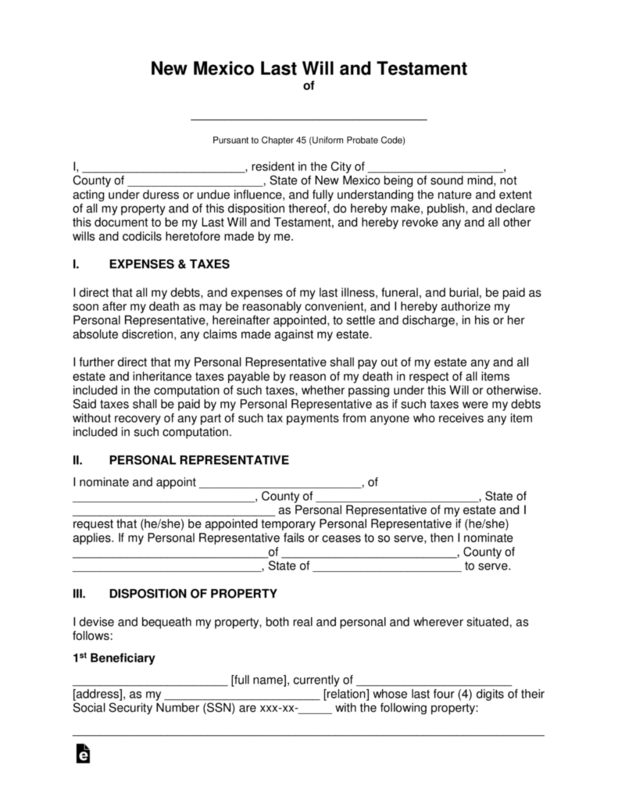 The New Mexico Last Will and Testament is a legal document that is prepared by a testator (the person constructing the will) that will provide instructions for their selected Executor (representative) as to how the testator would like to have their estate distributed upon their death. 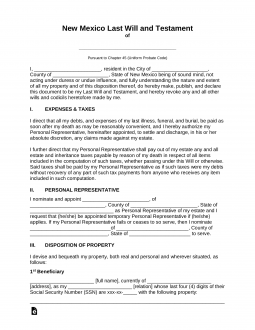 This document will be created to properly distribute their estate to not only protect a spouse, children and/or other family members, with their real property, personal property, fiduciary etc. As well the document will have the capability of providing donations to preferred schools, organizations or even friends or pets. The document will require signatures of two witnesses as well, the acknowledgement of a state notary. Signing (Section 45-2-502) – Two (2) or more Witnesses. Step 7 – Notary Public –The notary shall witness all signatures, the remaining portion of the document will be completed by the state licensed notary.